A family lifestyle, with a genuine out-in-the-country feel. The 60 kilometres of KwaZulu-Natal’s North Coast between Umhlanga and Zinkwazi features six world-class golf courses. That’s a big deal. But only if you play golf, watch golf, teach golf, or are in some other way obsessed with chasing the little white ball. 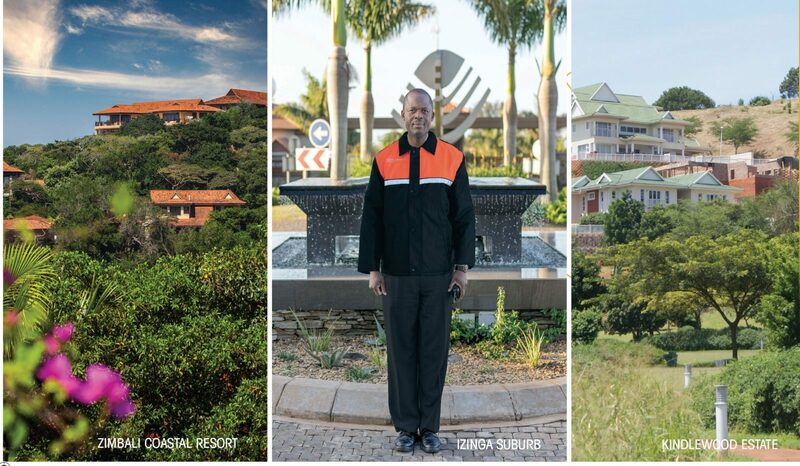 So it’s a refreshing change to find a North Coast estate that prides itself on being golf-free. Part of the Tongaat Hulett stable of estates, Kindlewood is designed as a secure family estate with lots of open space – both playable space where kids can run wild, and wild space where nature holds sway. 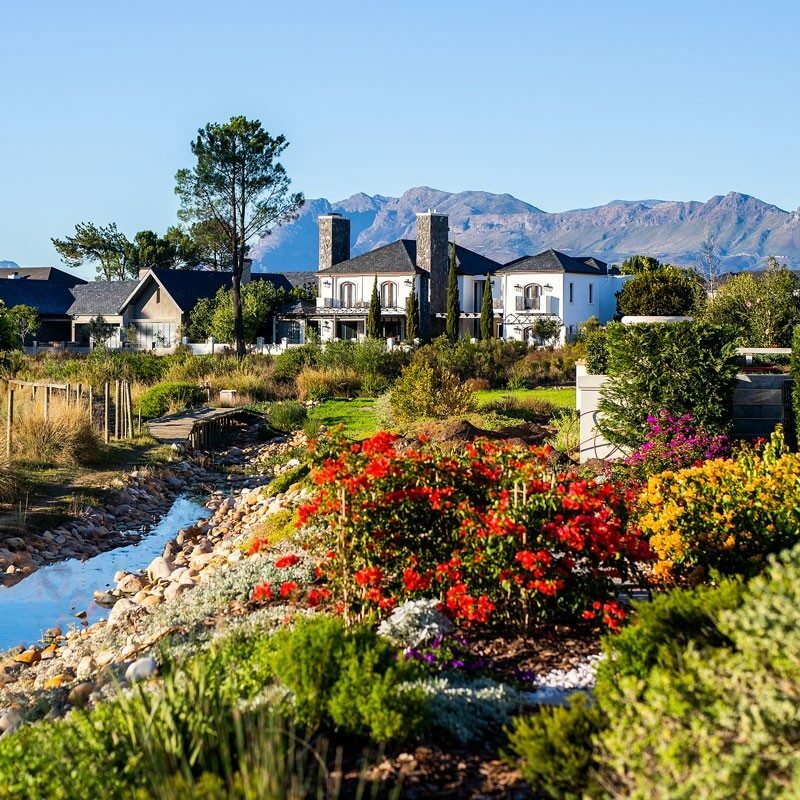 Working closely with a team of horticulturists and landscapers, the developers decided there could be no better use for the land than to recreate the original wetland environment coupled with wide open spaces and homes in the Natal veranda style. That’s why there are around three kilometres of jogging trails, cycle paths and play areas winding through the wetlands, interspersed with the reintroduced natural vegetation. 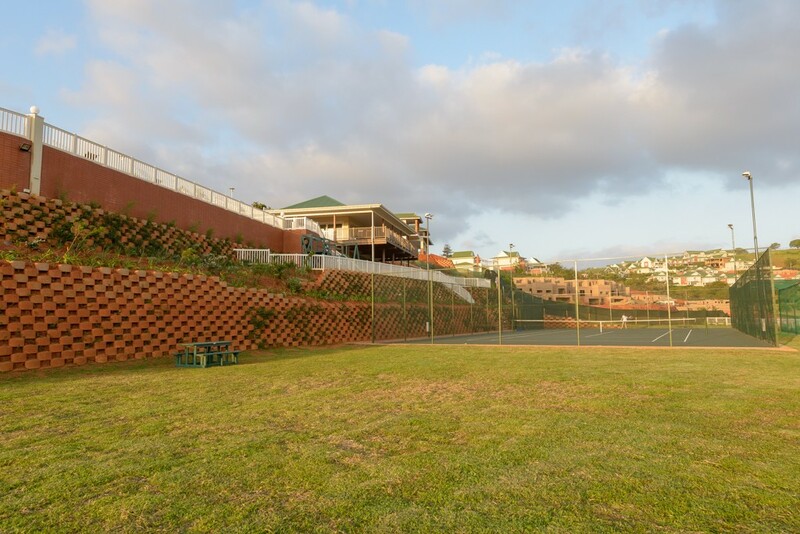 Less spatially extensive sports like tennis and cricket are catered for at the estate’s community centre, along with a swimming pool and jungle gyms. Here residents can enjoy a meal or a drink on the huge, wrap-around veranda with expansive views of the rolling green hills of Kindlewood Estate, while their children frolic in the dedicated playground area. Or swim a few laps. It can also be hired for special occasions like birthdays and special events. So it’s really not a case of being anti-golf. It’s just a realisation that there’s already an impressive quiver of golf courses in the area, such as Mount Edgecombe’s two 18-hole championship courses, and that there’s a need for a family-focused gated estate. Situated conveniently close to the Gateway Theatre of Shopping and Umhlanga Ridge, and only 20 minutes from King Shaka International, Kindlewood Estate is a mere fifteen minutes from Umhlanga’s fabulous warm-water beaches. But it’s not all play. An extensive fibre-optic network offers all residents the advantages of super-fast internet, so working from home is a definite possibility – along with all the other advantages of fibre. Like gaming. OK, it’s not all play, but somehow Kindlewood just has a holiday feel. Tongaat Hulett broke ground in 2005, following the success of Mount Edgecombe 1 and 2. The infrastructure and around 80% of Phase 1 and 2 plots were sold out by 2008. 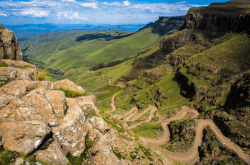 However, with the onset of the 2008 recession, as at many such projects across South Africa, sales and development slowed dramatically, and between 2009 and 2012 there was muted interest from the market. As the markets started to recover from the hangover left in the wake of the recession, by late 2012, momentum within the property market picked up, and with it a reawakened interest in Kindlewood Estate. The estate is 62 hectares in extent and, when complete, will have 573 residential units. It’s specifically designed to maximise open space which encompass some 14 hectares so, rather than have lots of houses with big gardens spread out, there are a few large plots with freehold homes, as well as a good selection of slightly more dense – but certainly not crowded – planned unit developments. These PUDs or Medium Density Sites, as they’re called, offer the opportunity for independent developers to build sectional title properties within Kindlewood, creating a seamless network of interlinked communities. One of the latest Medium Density Sites is the Phase 4 retirement development, which will be completed in 2018. The development will consist of around 220 homes and 30 bedsitters, a separate community centre, catering facilities, assisted living facilities, entertainment areas and a library, plus doctors’ and nurses’ rooms. This follows a growing trend of integrating retirement housing with general housing to reflect the way communities have developed over the ages. It opens up the opportunities to have grandparents living close their immediate family members, so granny and grandad are just a quick bicycle ride away. While the retirement element is spatially contained, it forms an integral part of Kindlewood, thus contributing to the development of a multigenerational community. The colonial-style architecture, set fourth in the aesthetic guidelines of the estate, referred to as Natal veranda, takes full advantage of natural sunlight, shade and cooling breezes. 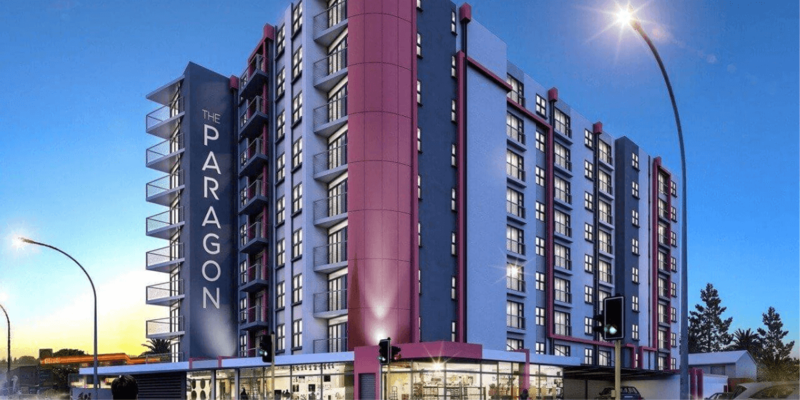 All the buildings have been fitted with low-emission lighting and appliances, including extremely energy-efficient VRV (variable refrigerant volume) air conditioners, and solar water heaters are encouraged. Invasive and water-hungry alien vegetation was cleared, and clever landscaping has utilised the natural slopes of the gently undulating land to funnel rainwater run-off into the wetlands to replenish groundwater. Water is pooled in irrigation dams that act as fishing spots for the estate children (and maybe a few dads). Horticulturalists replanted the site extensively with carefully chosen indigenous plants that serve to retain soil moisture and thus reduce the need for watering. Irrigation, which is kept to a minimum, is all done with grey water and the irrigation dams. 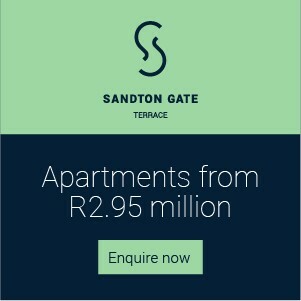 The management of the estate is outsourced by Tongaat Hulett and the Home Owners Association and responsibilities are divided into two main areas; executive, strategic planning and special projects with Vic Crowther taking on these responsibilities and Adriaan Jackson the administrative and operational roles. This management formula has proven a great success, which is evident in the rising property values, successful roll-out of new phases and strong sense of community among resident families. 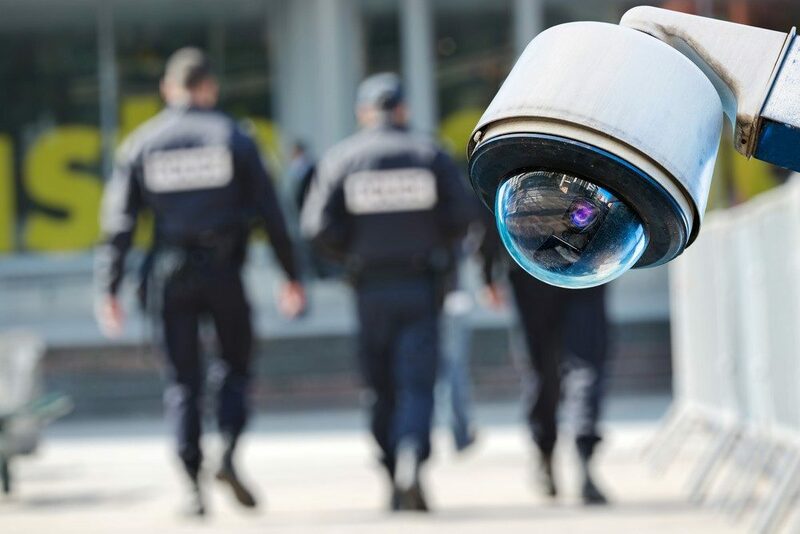 Enforce Security protects the estate, with fully electrified perimeter fencing, camera surveillance, 24/7 gate monitoring and access control contributing to Kindlewood’s aura of security and community. It’s hard to beat Kindlewood for a combination of convenient location, security, outdoor family lifestyle, and genuine out-in-the-country feel.